Communication with the inhabitants of a town which has used the services provided by the local authority is a valuable tool for underscoring what has been accomplished and winning the cooperation of the populace, whose collaboration is especially absolutely necessary in fighting mosquitoes and the tiger strain in particular. 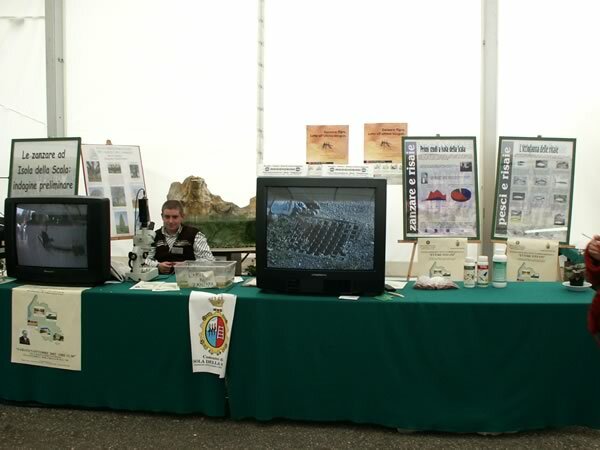 Thorough information campaigns are necessary in order to spread knowledge of those prevention rules which are mandatory and to explain the reasons for the decisions the authorities make during pest control programmes (for example to explain why the action of larvicides may seem less effective than that of the products used against adult insects). The means of communication adopted must be tailored to their intended target and the amount of detail contained in the message has to be carefully gauged in order to capture the attention of the public most effectively. 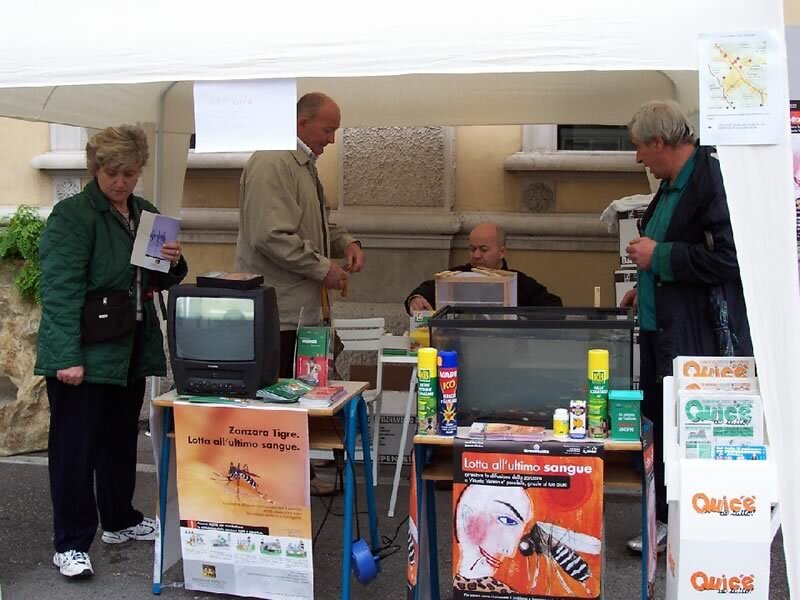 We have produced documentaries for the Veneto Region which spread knowledge of the most common kinds of mosquito and encourage the public to take the action necessary to prevent them from propagating. This audiovisual material is designed to suit three types of audience: adults, primary school children and TV networks. Each version is available on VHS and CD. We have also produced a 30-minute documentary for the Adria Health Trust in the province of Rovigo describing the biological and behavioural characteristics of the most common species of mosquito in the Rovigo area. • have text which combines with the images and that is short enough not to bore those who have time and are willing to read it. 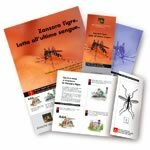 These are intended for those who wish to learn more about mosquitoes without entering into too much detail. They are particularly suitable for teachers wishing to supplement the video information they provide at lessons. The text would therefore be as free of scientific terms as possible and would be expressed in easily flowing and readily understandable language. These are intended for those in any way involved in the world of disinfestation, for local authority experts or for politicians engaged in drawing up disinfestation contracts. The Practical Atlas of Reproduction Hotbeds for the Main Kinds of Vexatious Mosquitoes shows where the various kinds of mosquitoes reproduce and specifies which operating methods and prevention techniques are to be adopted in order to avoid making mistakes and help in the assessment of bids and projects. With their curiosity and enthusiasm for every thing that is new to them, children can be effective vehicles for spreading knowledge of preventive action against mosquitoes within their families. Colouring books focusing on various themes are therefore designed for them. 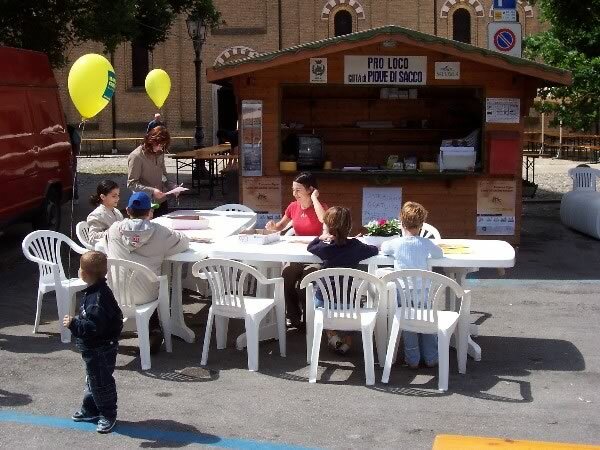 A stand in a temporary gathering place, such as a weekly market, local fair, etc., is sure to be successful in getting to those who do not usually pay much attention to leaflets or do not read newspapers. People out for a walk are certainly readier to look at and more curious about a kiosk where they can actually see mosquito eggs, aquariums with larvae and little fishes feeding on them and samples of macro-invertebrates that predate on Culicidae in their early stages. Many will treasure what they learn on such occasions, thanks also to videos and free information material. 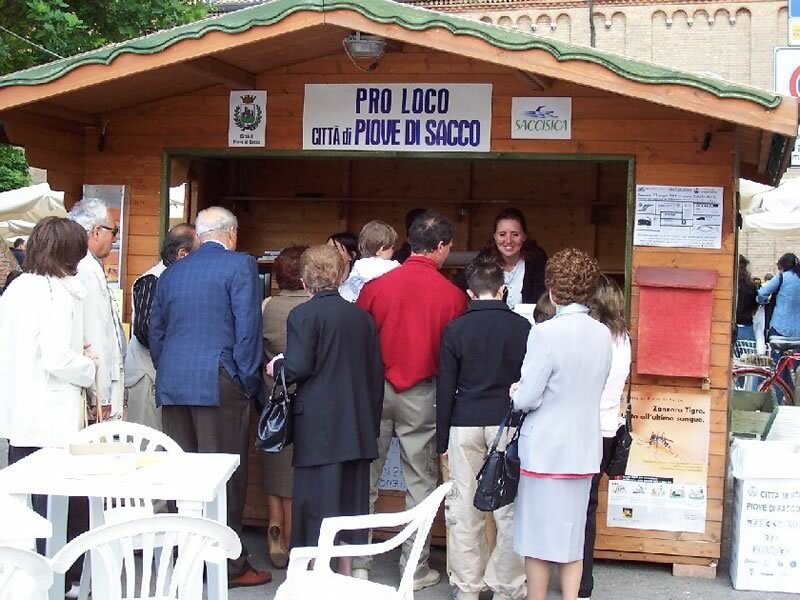 Although few people attend these evening events in general, we do have some expedients which increase audience numbers dramatically, such as giving away free samples of larvicide tablets. 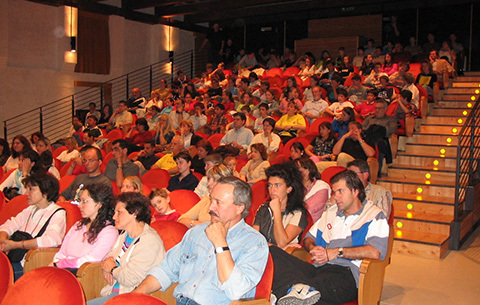 Other forms of participation and involvement are school events for which we can organise treasure hunts (looking for hotbeds) and didactic trails, and we may suggest celebrating the end of the school year with a big party in a theatre where children and their parents join in.